It’s the heat of home buying season now, and buyers are out looking at property. When a real estate agent gets a call off a sign or website advertising, how should they handle the call? Most importantly, when prospective home buyers asks, “What’s the price?” – what’s the BEST way to covert those interested prospects into an appointments? The key is how you use ‘transitions’, a powerful strategy to boomerang the conversation so you’re in control. How does it work? 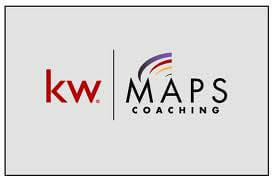 Watch this realtor coaching video from Keller Williams MAPS Coach Shon Kokoszka, and listen and learn, as he explains how to handle buyer phone calls so you get an offer written faster by using transitions. Master these realtor phone scripts for converting sign and advertising calls, and watch your real estate business grow to the next level.